Jillian Pransky is a Master Certified Yoga Teacher offering several of the best yoga teacher training programs in the country. Her Yoga Therapeutics Teacher Trainings is focuses on using yoga postures for healing. 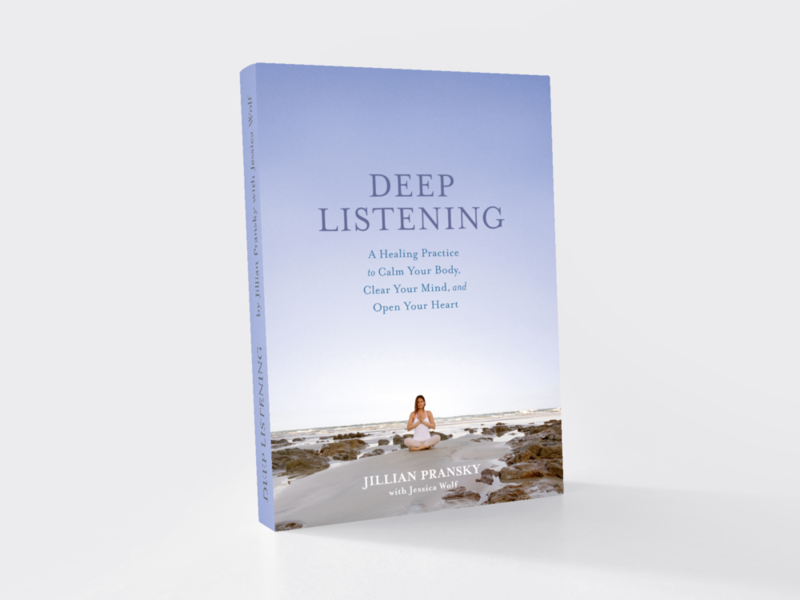 In Jillian’s workshop I learned how to prop myself in meditation and it has changed my experience completely. I feel "embodied" for the first time. I've been meditating for a long time, but I have never felt so grounded and supported before! - Laura Farrah. RN. RYT. In Yoga Therapeutics Teacher Training with Jillian you will gain confidence in your thinking process and observation and assessment skills and graduate prepared to work in group settings and one-on-one to address a wide variety of therapeutic needs. You will take home a rich tool bag of techniques, modalities, and approaches and leave with the ability to address a wide variety of therapeutic needs. The training culminates with hands-on practice working with real people who have real challenges. Yoga Therapeutic Training Module One focuses on overview of How Yoga and Ayurveda can support Healing offering principles and tools for working with: Insomnia; Anxiety and depression; Digestive issues; and Chronic Pain. Expert Guest Speakers will present on the topics of Working with Students With Grief and Working with Students with Trauma. Module Two focuses on working therapeutically with general back pain and structural injury. The focus will be on creating sessions for chronic and general back pain, structural injuries of knee, hip, and shoulder. As well as chronic illnesses such as MS, fibromyalgia and heart disease. Expert Guest Speakers will present on topics such as Working with Students With Paralysis and Limited Mobility. Working with Students with Cancer. Working With Students with Chronic Illness. The Yoga Therapeutics Teacher Training is designed for new and experienced yoga teachers as well as health professionals, including doctors, nurses, psychotherapists, occupational therapists, social workers, mental-health professionals, counselors, body workers, mind-body fitness instructors, health coaches, and others working in healing, helping, and teaching professions.